Swedish Casino Players Wins €7.8 Million And The Biggest Yggdrasil Jackpot Ever! What's better than winning millions? Breaking a record of course! No? Well, this Swedish Casino player probably agrees as they aren't looking back after winning €7,832,262.02 (around SEK 80 Million). One lucky LeoVegas casino player from Sweden has won a record-breaking jackpot win on the Joker Millions slot from Yggdrasil. To be clear, this isn’t the biggest online slot win of all time – the Mega Moolah slot created by Microgaming holds that record. 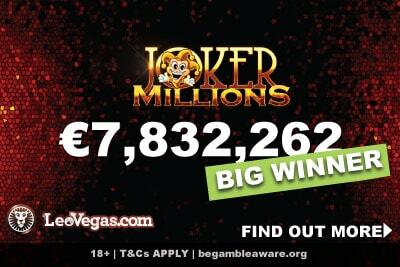 But it is the biggest win ever on Joker Millions, by a long shot, and it’s a monumental €7,832,262.02 going into one person’s pocket. What makes this win all the more incredible is the fact that the Swedish casino winner was only betting 0.50 Euro a spin. It was certainly a win to remember. It was Friday evening on November 9th 2018. An evening like any other in autumnal Sweden – dark, cold, and with the promise of snow in the air. We have very little information on this win. 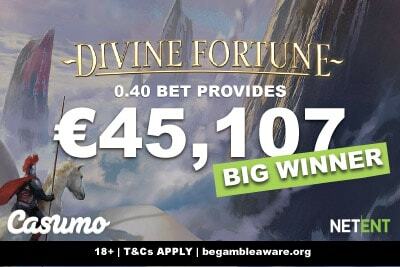 Unlike our last big millionaire slot winner story, who was happy to divulge exactly what he was going to buy with his new found fortune, this private Swede is keeping all the details to themselves. What we do know is that, if this player was secretly rich, they weren’t betting very much of it. The lucky Swede wagered 0.50 cent bet on Joker Millions, which isn’t the minimum bet of 0.25, but basically pretty close. Turns out, that’s all you need to become a new slot millionaire. Joker Millions is a Video Slot with 5 reels, 3 rows and 25 paylines that pay from left to right. You have seven regular symbols and a special Joker symbol. To trigger the jackpot you need five Joker symbols to appear anywhere on the reels, at which point you’ll get free re-spins of the non-joker symbols. The more Joker you catch during the re-spin, the bigger your payout. Fill the screen full of jokers, and guess what? You end up with millions in the bank. Yggdrasil Gaming are one of those names that you either know very well or have yet to hear about. They are one of the best up and coming software casino vendors around, creating some truly fun and unique games. If you haven’t tried them yet, you should: you’ll probably find a new favourite machine. Joker Millions is probably their most famous jackpot slot because it pays out so big. Their Empire Fortune slot is probably the next most famous for the same reasons, though it’s not as fun if we are honest. And, of course, the Ozwin’s Jackpot slot and Holmes and the Stolen Stones slots are fun, but the jackpot prizes never go quite as high. Unfortunately, Jokers Millions is not available in all countries; you won’t find it at any UK mobile casinos for example. Annoying but true. The biggest jackpot win on a Yggdrasil jackpot slot was in July 2017 when Joker Millions paid out €5 million. Now that wasn’t the last time that Joker Millions paid out, but it was the biggest ever win in a game by this game studio. 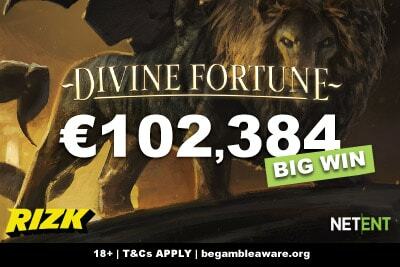 Now, any jackpot hunter worth his salt will tell you that slot games like Hall of Gods by NetEnt and Mega Fortune Dreams Touch pay out that much every couple of months! True, but Yggdrasil games don’t have the same recognition of some of the bigger progressive jackpot phone slots; less players play, the slower the jackpot builds. That’s not to say it triggers much less, just probably not as high as often. 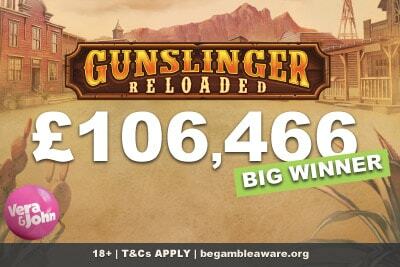 However, after this big €7,832,262.02 win, we suspect that Joker Millions is going to be a boost to it’s profile. Well, for one, Leo Vegas is the only place where you can find the exclusive Yggdrasil games Pirate Smugglers Paradise and the Royal Family slot. So if you are a fan of this software studio, it’s worth heading to this casino to try out these two new games you won’t find anywhere else. Because who doesn’t love some never before seen slot machines? But that’s just a little taste of what this fantastic casino has to offer: from a generous welcome bonus to a variety of the best games, to excellent customer service and fast cashouts, is it any wonder that Leo Vegas has become a favourite worldwide? We’ve mentioned the big NetEntertainment hitters, but the one we have our eye on at the moment is Mega Moolah. Why? Because that jackpot has risen above €7.5 million (at time of writing) and that’s the kind of sum that would change our world. And if we win millions we’ll be the first to tell you all about exactly how we will be spending every single cent; from a round the world trip for the whole family, to a new home, to helping out the people who’ve meant the most to us. Because half the fun of playing on jackpot slots is the daydreams of winning. But even if you don’t, at least you’ll be playing at a reputable mobile casino who will have plenty of other games to keep you entertained.